Note: This product has been upgraded to the Quick Mill Anita Evo. Click here for more details. An excellent, compact semi automatic espresso machine, ideal for home use, and an excellent pick for those with limited space. Recommended for: Large households, busy office environments, power drinkers and coffee purists. This is way too much machine for a casual coffee drinker. 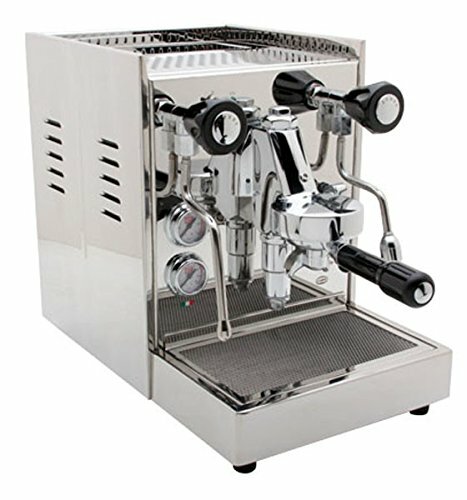 Are you in the market for a solid, reliable espresso machine, priced in the mid-range, that will give you all the tools you need to make any coffee drink you can imagine? Are you interested in being an integral part of the process, and not just pushing a button and waiting for the machine to serve it up to you? If you answered yes to either of those questions, then you’re going to love our in-depth Quickmill Anita espresso machine review, but be warned: this machine isn’t going to be a good fit for everyone. If you consider yourself to be a casual coffee drinker, the Anita is serious overkill, and you’d be better off getting a less expensive, lightweight model. This one is designed for large households and is robust enough that it can even keep pace if used in a busy office environment. We’ll go over everything it can and can’t do in the sections that follow so you’ve got all the information you need to make an informed purchasing decision! The first thing you’ll notice about the Anita by Quick Mill is the machine’s aesthetic. It’s eye-popping. It’s made to be seen and stand out. With its solid stainless steel casing, polished to a mirror-like finish and old school design, it’s hard to miss. You won’t find any fancy electronics here. The machine looks like it came right out of the 19th century, with its levers, knobs, and gauges. The aesthetic alone may be enough to rule it out in that it simply might not “fit” with your kitchen’s décor, but even if it does, it’s a fairly sizeable machine, measuring 10.8” x 17.8” x 15.2” and weighing in at a hefty 47 pounds. If you’ve got limited counter space, it might be hard to find it a permanent home, and it’s heavy enough that you won’t relish the thought of having to move it on a regular basis. This is an important part of our Quickmill Anita review and is one of the first things we inquire about, any time we take a look at a new machine. In this case, the Anita delivers in style, offering an impressive 3-liter (101.4-ounce) water tank. Two things to note here are as follows: 1) The Anita is not one of the Quick Mill models that you can run a dedicated water line to; and 2) the water tank does not have a place for a water filter. We’re on the fence about water filters anyway, so the lack of one here is no great loss to us, but some people swear by them. The chief advantage that a water filter gives you is that you dramatically reduce the need to descale your machine, but you can achieve that same effect in other ways. Either use distilled water or filter your water at some other point in the system. In any case, it’s not something you have to make a decision about with this machine because it simply doesn’t have one. This will be a fairly short segment, because the Quick Mill Anita, as a semi-automatic espresso machine, does not have an integrated grinder. It’s simply not capable of providing one-touch convenience or a “beans to brew” experience. In some ways, that can be seen as a positive, because if you get a super automatic, you’re stuck with whatever grinder they put in it. Also, integrated grinders tend not to play well with oily beans, which means dark roasts are typically off limits. That’s not the case if you get a standalone grinder, especially if you opt for a manual one. In the world of grinders, you’ll find two basic configurations: Blade and Burr. Don’t bother with a blade grinder. 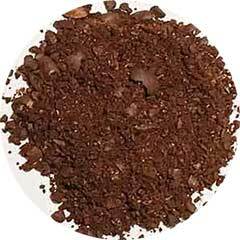 They’re inexpensive, but “grind” is a generous term for what they do to your beans. They basically just smash them to bits, rather than grinding, which means you wind up with inconsistencies. 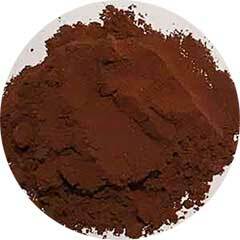 When you grind your coffee fine using a burr grinder, all the grounds are very close to the same size. That’s not the case with a blade grinder. You’ll have some coarse, some fine, and a few very fine, which can throw off the flavor of whatever drink you’re making. Burr grinders then are the way to go. Where Burr grinders are concerned, again, you find yourself with two options: Stainless steel or ceramic. Of the two, ceramic is the superior choice, because stainless steel burrs have a tendency to overheat, which can burn your grounds and again, ruin the flavor of whatever drink you’re making. So, ceramic grinders, all the way. That’s our recommendation. This is another key section of our Quick Mill Anita review, and there’s a lot to like here. 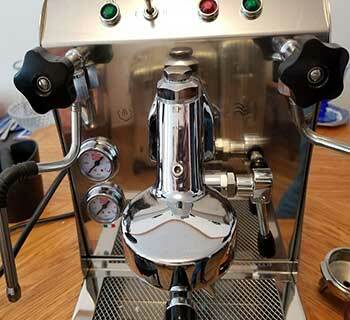 Most espresso machines on the market today use an aluminum boiler, lined with stainless steel. The Anita’s boiler is as old school as the machine itself, utilizing an insulated copper boiler, which provides excellent, even heat. Our only quibble with the way the unit is configured is the fact that in order to adjust the boiler temperature, you’ve got to open up the housing. In an ideal world, we’d love to see two boilers, which would allow you to simultaneously steam milk and pull shots, but the Anita doesn’t offer this capability. Even so, the boiler heats rapidly, and you won’t spend too much time idling and waiting for the machine to catch up to you. 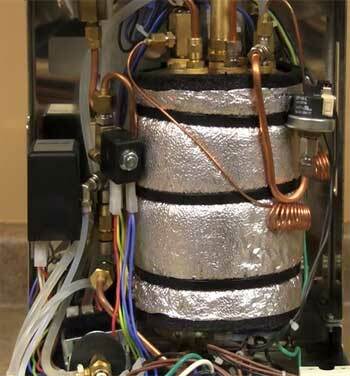 Even better, every component connected to the boiler is built to last. You’ll find copper fittings in the place of the plastic ones used by so many other machines being sold today, and everything is designed to be easily accessed and easily replaced, should the need arise. This will be another relatively short section in our Quickmill Anita espresso machine review because as a semi-automatic, the Anita doesn’t have telescoping spouts. They are on the underside of the portafilter, and as such, are fixed-position. Note that When you buy your machine, you get two different portafilters; one for pulling single shots, and one for pulling doubles. Also, include are water hardness testing strips and a backflushing disc, which we’ll talk about in a later section. This is the heart and soul of any espresso machine, and the Anita Quickmill is no different. The controls on the front face of the machine are a lesson in simplicity. Again, no complicated electronics to contend with. Everything is dials, buttons, switches and knobs. You’ve got a few basic indicator lights that let you know whether you have power to the machine, and two gauges, one providing a readout of the boiler pressure, and the other giving you a read on the pump pressure. The Anita’s pump is rated for a maximum of sixteen bars, and you can adjust the pump pressure if you want to experiment, or if you find that it’s falling off for some reason. Remember, it takes at least nine bars of pressure to make a great espresso, and having a gauge to give you the precise pressure is a nice touch that will refine your shot pulling. Also, the Anita uses the legendary E-61 brew group, which is commercial grade, and quite forgiving, making this a good machine for beginners and aspiring Baristas to learn on. The Anita keeps with the Quick Mill tradition of offering a three-stage power switch, too. It gives you the standard on/off positions but also gives you a third option that allows you to power the unit to fill the boiler, without providing heat to the boiler itself. 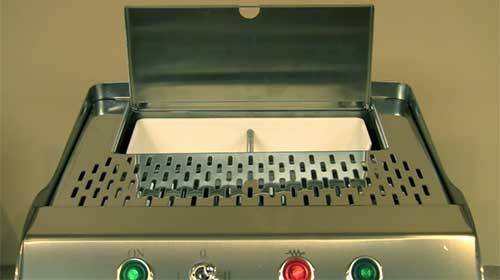 The interior of the machine is made of stainless steel, just like the exterior, so you won’t have to worry about rust. Honestly, as rugged and durable as this machine is, with proper care, it may be the last espresso machine you’ll ever buy! In the world of espresso machines, there are two basic ways milk frothing can be handled; either via an auto-frother or a steam wand. Beginners tend to prefer auto-frothers, because, as the name suggests, it automates the process. The downside, of course, is that you don’t have much control. You get what the machine gives you. Beginners tend to find steam wands intimidating, and it’s true that they take practice and a certain amount of skill to use. Having said that though, they offer maximum control over not just milk temperature, but also the quality and quantity of the milk foam you get. 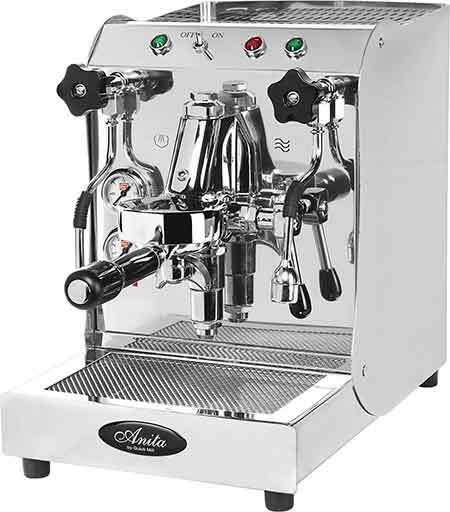 Purists will love the fact that the Anita Espresso Machine utilizes a fully articulated steam wand for milk frothing. If you’re new to the world of specialty coffee drinks, don’t let this intimidate you! While your first few drinks might not come out exactly the way you had hoped or planned, it won’t take much more than that for you to master its use, and once you have, you’ll be able to dazzle your friends with your mad Barista skills! 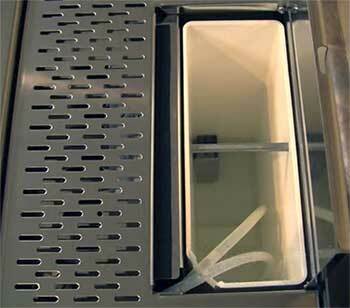 The lowly cup warming tray is, in some respects, the unsung hero of the specialty coffee world. The reason? Specialty coffee drinks (especially milk-based ones) were meant to be enjoyed at temperatures somewhat lower than most Americans drink their coffee. While it’s true that you can go a long way toward remedying this by raising the boiler temperature, that doesn’t get around the fact that you lose a surprising amount of heat when you dispense your drink into a cold cup. That’s where the warming tray enters the picture. It minimizes heat loss. Note that you have to unload the tray when refilling the water tank. It's a bit cumbersome nonetheless always a good addition to any espresso machine, whether semi- or super automatic. There’s nothing complicated about the Quickmill Anita’s design. 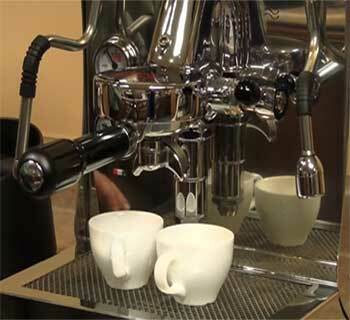 Even if you’ve never seen an espresso machine in your life, you can easily work out the function of the various components, and by the time you finish running through the initial setup, you’ll have essentially mastered the machine. For semi-automatics, backflushing accomplishes the same thing that cleansing tabs do for a super automatic. If you want great espresso, you’ve got to keep the brew unit clean. When you purchase your machine, you’ll get a backflushing disc. Just use it about once a week, and you shouldn’t have any issues. Some of Quickmill’s models have a PID on the front face of the machine that allows you to control the boiler temperature without having to open the case and adjust from the inside. Unfortunately, the Anita does not have this feature. There’s a lot to like about the Anita Quickmill. Our only real issue with it is the fact that you’ve got to open the housing if you want to adjust the boiler temperature, but in truth, once you get it set where you want it, this is not a feature you’ll be changing with any regularity. Everything else we could think to add would run counter to the design philosophy of semi-automatic machines in general. In many ways, these are self-selecting devices. If you’re looking for a highly-automated machine, you wouldn’t be considering a semi-automatic, to begin with. Given that, there’s not anything more we’d change. It’s a solidly built model that will last you half of forever if you treat it well. And that wraps up our Quickmill Anita espresso machine review. Quick Mill makes great machines. While some of their models are imperfect, the truth is that you can’t go wrong with them, no matter what model you select. Highly recommended for anyone who’s looking for a rugged, durable machine that can be used in either a home or an office setting, and gives you all the tools you need to craft any specialty coffee drink you can imagine. Quick Mill Anita User Manual. Quick Mill Anita Evo User Manual. The Nutritional Profile of Coffee. Coffee & Health. Boiler vs. Thermal Blocks. Crema Coffee Garage.